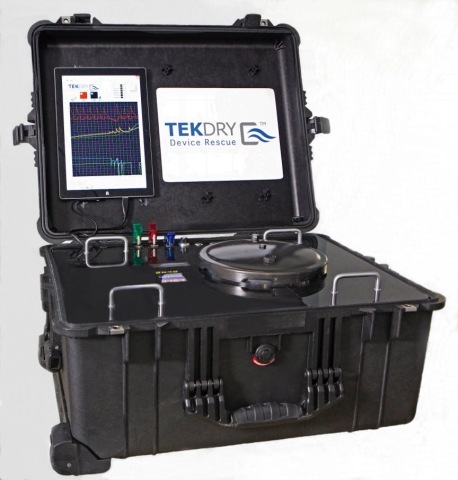 DENVER--(BUSINESS WIRE)--A new scientific study released today by TekDry (www.tekdry.com), an emergency electronic device rescue service, shatters the widespread myth that placing a wet smartphone in a container of rice is an effective way to dry it. The study, “Evaluation of Rice as a Method of Drying Out Waterlogged Cell Phones,” was conducted by DTJ Consulting and was commissioned by TekDry to explore the commonly held belief that placing a wet smartphone in a sealed container of rice for 48 hours effectively removes water from the phone. The study not only proves that rice is not an effective drying agent, but that it is actually less effective than simply leaving the device out in the open to dry naturally on its own – but neither method will thoroughly dry the device. DTJ Consulting created a smartphone simulator for this experiment because a waterlogged smartphone drips through openings and seams in its case, which makes it impossible to isolate and measure the weight loss only due to evaporation in a room or placement in a closed container of rice. The simulator is a plastic box with openings in the top totaling 42mm2, representative of the openings in current phone designs. The simulator contained a small folded piece of wet paper towel with a water weight equal to 10 percent of the volume of a selected smartphone, because the internal spaces of a smartphone occupy approximately 10 percent of its total volume. A detailed description of the rice experiment design, methodology, and results, a video demonstration of TekDry’s technology, and an infographic illustrating the study and including device rescue tips and statistics regarding wet mobile devices, are available on TekDry’s website. 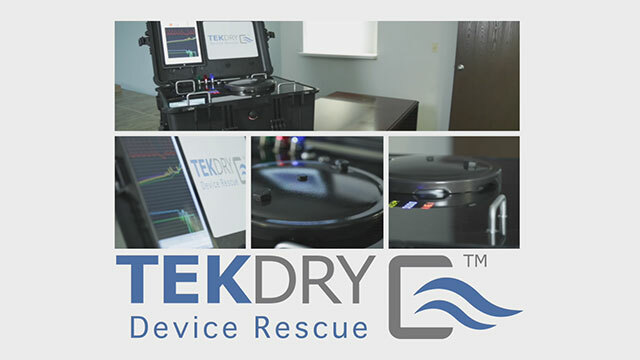 TekDry’s patented device-rescue service completely restores within 30 minutes wet mobile devices including smartphones, laptops, tablets, and cameras, saving consumers time, money and the hassle of dealing with high insurance deductibles and costly device replacement fees. 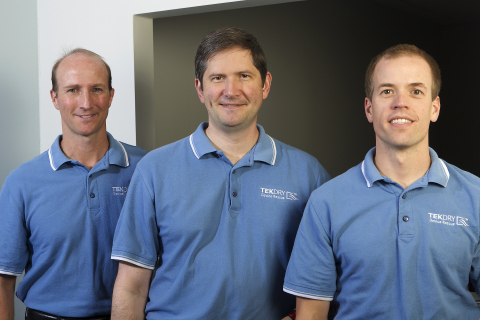 Headquartered in Denver, TekDry (www.TekDry.com) offers a nationwide emergency electronic device rescue service that quickly and safely dries wet electronic devices such as smartphones, laptops, tablets and digital cameras; restoring full device operability, saving valuable data such as photos and contacts and preventing further irreversible damage. David James has broad knowledge of the electronics and computing industries through four decades of unprecedented technology advances. He has extensive experience in leading engineering projects covering system design, data storage, silicon chip architectures, manufacturing processes and computerized test systems. He has held senior positions with responsibility for technical strategy and future technology leadership for key products at IBM Corp, Xyratex, Fujitsu Ltd and Hitachi Global Storage. DTJ Consulting offers practical engineering and technical marketing expertise across multiple technology segments. David’s knowledge of system design, electronics and physics is well suited to diverse projects and recent work has included SSD architecture, data recovery techniques, servo systems and embedded processor systems. 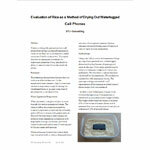 A scientific study released by TekDry (www.tekdry.com), an emergency electronic device rescue service, shatters the widespread myth that rice is an effective drying agent for wet mobile devices.